My Top Ten Lists – Did You See That One? 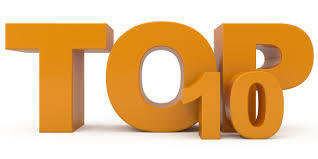 I’m not actually a fan of top ten lists. Trying to condense over a century of films into a list rating their dominance over others is impossible and pretentious. With this page, I’ll be putting up top ten lists that are divided by categories I feel I’ve seen enough films in to make my own opinions known. I expect debates and disagreements since this is entirely based on my arbitrary opinion, but I hope you enjoy. Pingback: Eight Men Out | Did You See That One?